When you talk with Japanese people, you’ve surely heard that they use some English words incorrectly. That’s because Japanese has not only its own language but also “Wasei-eigo” (和製英語, わせいえいご) which means English words made in Japan. Most Japanese people don’t know these words are not real English. Learning “Made-in-Japan” English is necessary to communicate with Japanese people because it’s strongly rooted in Japanese culture. Once you’ve learned “Made-in-Japan” English, you’ll find new Japanese culture you never know about. It might look difficult, but it’s actually much easier than other Japanese words, especially for English speakers, because it’s made from English. 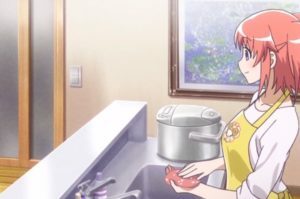 In this article, I’ll ask you 18 “made-in-Japan” English question about food and dishes. This is one of the articles which explains “made-in-Japan” English, and it’s in the “eating” category. Also, you can find questions about “drinks,” “desserts” and “restaurants” in related articles under the same category. Now, let’s get started on the questions! 1. What does “フライドポテト” (Furaido poteto) mean in Japanese? 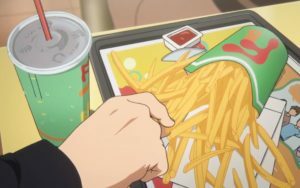 The answer is French fries. 2. 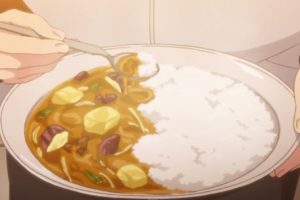 What does “カレーライス” (Kareh raisu) mean in Japanese? The answer is curry and rice. 3. What does “レトルト” (Retoruto) mean in Japanese? The answer is pre-packaged food. This word “Retoruto” comes from Dutch “retort” which means an instrument for distillation. 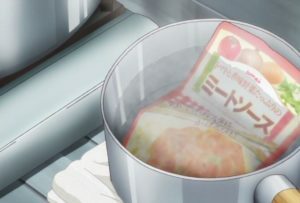 However, Japanese people called pressure cookers to make pre-packaged food “retort,” so that pre-packaged food was called “retort food.” Now, we just call it “retort.” It’s very popular among Japanese people, especially those who are too busy to cook. Retort-packaged curry is the most popular. You can find it at grocery stores and convenience stores. 4. What does “フルーツポンチ” (Furutsu Ponchi) mean in Japanese? The answer is fruit punch. It’s a dessert which contains several fruits like oranges, apples, peaches, cherries, pineapples with syrup or soda. The president of a fruit company worried that the sales declined after autumn, so he hit on an idea of putting cut fruit in a punch in 1923. It used to contain alcohol, and people could get warm in winter. Nowadays, we often eat it at school lunch, of course, it’s non-alcoholic. 5. 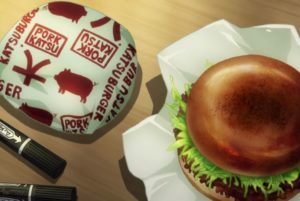 What does “ハンバーグ” (Hambahgu) mean in Japanese? 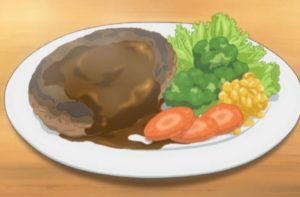 The answer is a hamburg steak (or Hamburger steak). 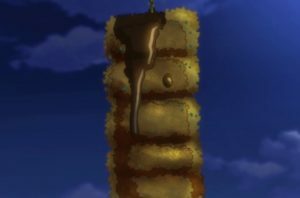 Hamburg is cooked patties of ground meat. We call a hamburger “Hambagar”, and a hamburg steak “Hambagu.” It was inspired by steak tartare in the late 19th century, and now, it’s one of the Western-style dishes customized for Japanese people. We call the city Hamburg “hamburugu” by the way. Japanese people call this not “hamburg” but “hamburger”. 6. What does “ホットケーキ” (Hotto Kehki) mean in Japanese? 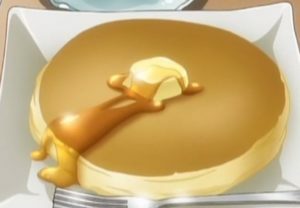 The answer is a pancake. A hot cake is like a pancake, but much thicker. We call it “hot cake” because it was made with a portable hotplate or it was just hot. What’s the difference between pancake and hotcake? Grocery stores in Japan sell both pancake mix and hotcake mix, and you’ll find the difference in the ingredients. Hotcakes have more sugar than pancakes. Plus, hotcakes are cooked with milk, but pancakes are cooked with water. Therefore, pancakes are not always for dessert, while a “hotcake” is always dessert. 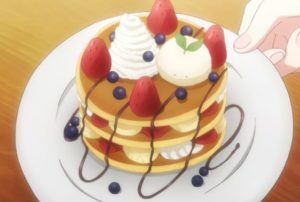 Japanese people call this not “hot cake” but “pancake”. 7. 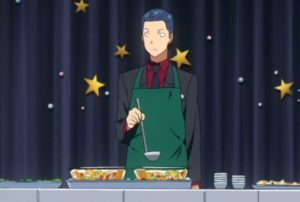 What does “イクラ” (Ikura) mean in Japanese? The answer is red caviar. This word “Ikura” comes from Russian. We call salted salmon roe “Sujiko,” and when the roe is separated individually “Ikura.” Japanese didn’t have these words before. When Russian people called red caviar “Ikura,” Japanese people thought it meant salmon roe. Actually, “Ikura” means every fish egg, like a cod roe or black caviar in Russian. 8. 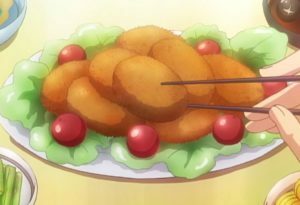 What does “カツ” (Katsu) mean in Japanese? The answer is a cutlet. 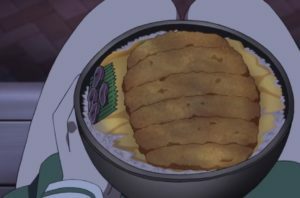 In Japanese cuisine, it’s a breaded and deep-fried cutlet. Usually, we call it “Katsuretsu” or shorter “Katsu.” Almost any ingredient can be a cutlet, such as pork, beef, chicken, or ground meat. A pork cutlet is especially popular in Japan, and we cook some cuisine with it like “Katsu curry” which is curry and rice served with a pork cutlet on top, or “Katsu don” which is a bowl of rice topped with a pork cutlet and sautéed onions cooked in an egg sauce. Fish and seafood cutlets are called fries like “Shrimp fries” or “Oyster fries” by the way. 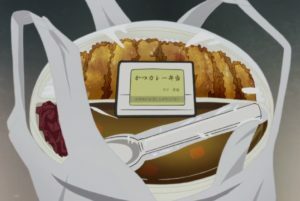 Japanese people like “Katsu curry” and “Katsu don” very much. 9. 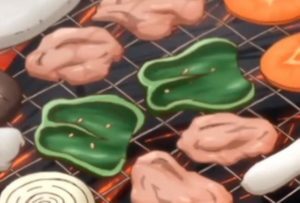 What does “ミンチ” (Minchi) mean in Japanese? The answer is ground meat. 10. What does “パン” (Pan) mean in Japanese? This word “Pan” comes from Portuguese. There are lots of kinds of Japanese bread, like savory bread or sweet rolls. “Yakisoba pan” (焼きそばパン, やきそばぱん) is popular among boys. It’s stuffed with fried noodles in a hotdog bun. 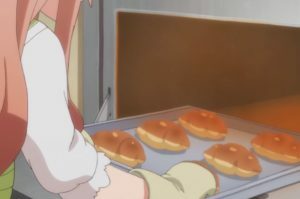 Also, “Melon pan” (メロンパン, めろんぱん) is popular among girls. It’s baked sweet cookies dough on bread dough. Especially, Japanese school boys like “Yakisoba pan”. Do you like it? 11. What does “ピーマン” (Pihman) mean in Japanese? The answer is a green pepper. 12. What does “ロールキャベツ” (Rohru Kyabetsu) mean in Japanese? The answer is a stuffed cabbage roll. This word “Roru kyabetsu” comes from roll and cabbage. “Kyabetsu” is the Japanese pronunciation of cabbage. It’s also said that “Kyabetsu” comes from French “caboche” which means ahead. 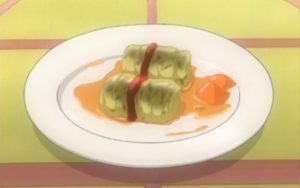 A cabbage roll is a dish consisting of cooked cabbage leaves wrapped around a variety of fillings. The sauce is typically tomato-based, but in Japan, we sometimes cook it in a broth made from kelp and dried bonito shavings. 13. What does “ロールパン” (Rohru Pan) mean in Japanese? The answer is a roll. 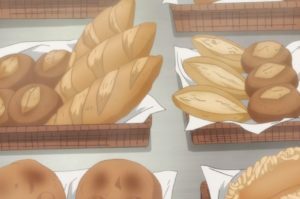 As we call bread “Pan,” we also do a roll “Roru pan” (ロールパン, ろーるぱん). “Roru” is Japanese pronunciation of roll. Japanese rolls are softer and milkier and usually rolled before baking. Butter rolls and raisin rolls are popular. 14. 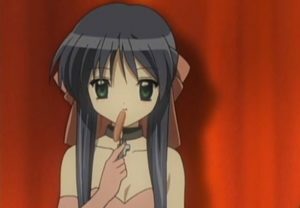 What does “ウィンナーソーセージ” (Uinna Soseji) mean in Japanese? The answer is a Vienna sausage. This word “Uinna” comes from English “Vienna” and German “Wiener.” It’s a thin sausage made of pork and beef in a casing of sheep intestine, and less than 20mm in diameter. There is a red Vienna sausage colored by artificial food coloring available at grocery stores, and we shape it into an octopus or a crab for kid’s lunch box. 15. What does “フランクフルト” (Furankufuruto) mean in Japanese? The answer is a frankfurter (or a frank). It’s a sausage made of pork and beef in a casing of pig intestine. It’s between 20mm and 36mm in diameter. A sausage made in a casing of cow intestine and 36mm or more in diameter is a bologna sausage. 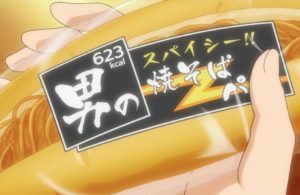 In other countries, frankfurter and hot dog are used interchangeably, but you can’t do that in Japan. 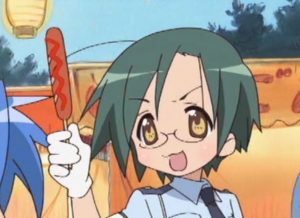 In Japan, a frankfurter is just a sausage, it doesn’t mean a sausage with a bun. 16. 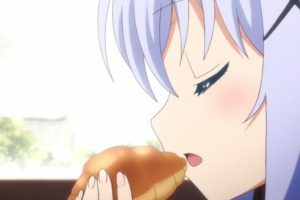 What does “フランスパン” (Furansu Pan) mean in Japanese? The answer is French bread. “Furance” is the Japanese pronunciation of France. 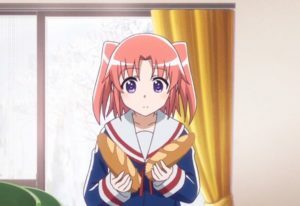 Japanese French bread is similar to the French one, but a little different. Japanese people like chewy bread, so the Japanese version is much softer and chewier. It’s sold as “Soft France” in Japan. 17. What does “コロッケ” (Korokke) mean in Japanese? The answer is a croquette. 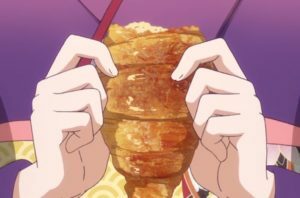 This word “Korokke” comes from French “croquette” or Dutch “kroket.” Both are made by mixing cooked chopped meat or vegetables with mashed potato, but a Japanese croquette is deep-fried while a croquette is fried or cooked in an oven. We usually eat it with Worcestershire sauce, ketchup or soy sauce. 18. 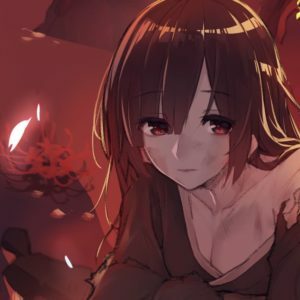 What does “クロワッサン” (Kurowassan) mean in Japanese? The answer is a croissant. 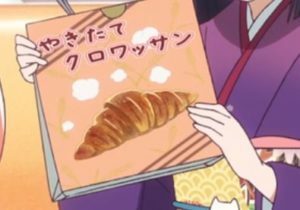 “Kurowassan” is the Japanese pronunciation of croissant. It means crescent moon in French, and it’s called “a crescent moon bread” in Japan very occasionally. There are many kinds of Japanese croissants, like sausage, chocolate, and custard. How did you like the questions? Did you know the answers? 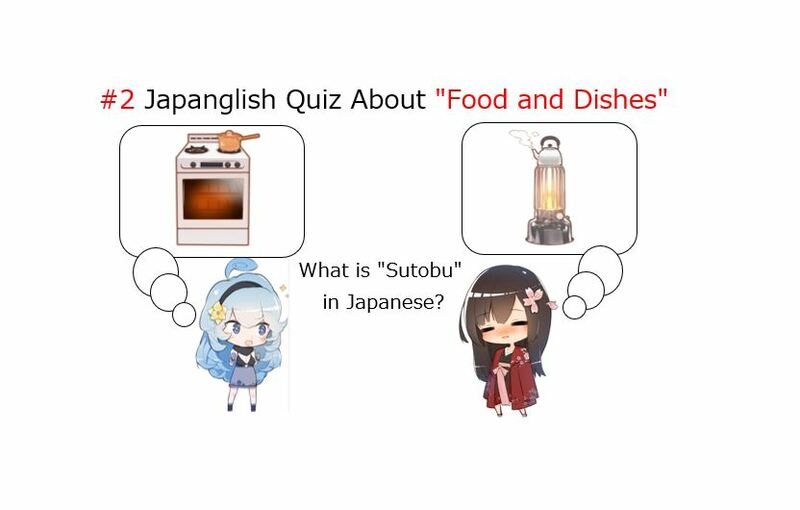 Now you understand how important learning “Made-in-Japan” English is because it’s strongly related to Japanese food culture. The Western culture has had a great influence on the Japanese one. Of course, there is still lots of native Japanese culture in Japan, but you’ll also find your culture there. I hope you enjoyed this article, and it helped your understanding of Japan. This article was about food and dishes in the food category. 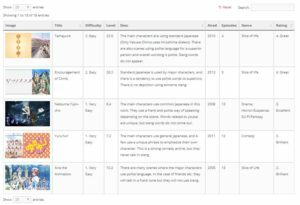 If you’re interested in “Made-in-Japan” English, you can find more questions about “drink,” “dessert” and “restaurants” in related articles under the same category.